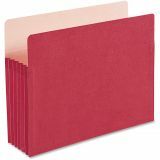 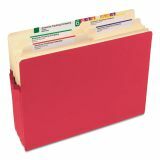 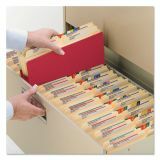 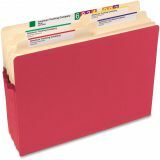 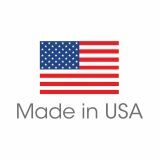 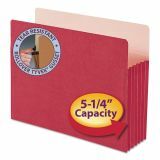 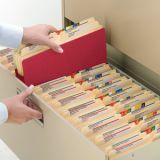 Smead 5 1/4" Expansion Colored File Pocket, Straight Tab, Letter, Red - Use colorful file pockets to quickly identify different types of files inside or outside of your file drawers. 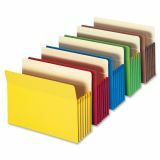 Matching colored gusset features a tear-resistant, Tyvek rollover reinforcement. 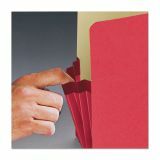 Manila liners allow easy labeling on the straight-cut tabs. 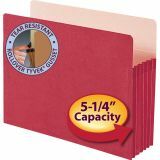 Drop-front panel provides easy access to contents. 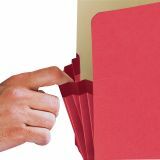 File pockets are made of 11 point stock.